Sep. 20, 2018—After serving as the department’s leader for more than 15 years, Samuel A. Santoro, MD, PhD, the Dorothy B. and Theodore R. Austin Professor and Chair of the Department of Pathology, Microbiology and Immunology, will step down from his role as the department’s chair after the completion of a national search to identify his successor. Sep. 20, 2018—Stuart Dill, Vanderbilt University Medical Center’s Director of The Office of Engagement, has been named Sr. VP, Medical Center Engagement with an expanded leadership role, including oversight of VUMC’s Strategic Marketing Department. Sep. 20, 2018—Thomas Nantais, MBA, has been named Vanderbilt University Medical Center’s executive vice president for Adult Ambulatory Operations and will join the Medical Center’s senior leadership team on Sept. 21. Sep. 20, 2018—The T.J. Martell Foundation’s 6th Annual Chic Awearness fundraising event that supports ovarian cancer research at Vanderbilt-Ingram Cancer Center will be held Monday, Sept. 24, 6:30 – 8:30 p.m.
Sep. 20, 2018—Fibromyalgia patients who regularly visit their physicians are much less likely to attempt suicide than those who do not, according to a new Vanderbilt University Medical Center study published in Arthritis Care & Research. Sep. 20, 2018—The Centers for Disease Control and Prevention released new clinical recommendations for health care providers treating children with mild traumatic brain injury, often referred to as concussion. Sep. 20, 2018—Noted bioethicist Jeffrey Kahn, PhD, MPH, will deliver the next Flexner Discovery Lecture on Thursday, Sept. 27. Sep. 20, 2018—Vanderbilt University Medical Center is ready for its eighth annual mass influenza vaccination event, set for Wednesday, Sept. 26, from 6 a.m. to 6 p.m. in the area between Light Hall and the Veteran’s Administration Hospital.  Sep. 20, 2018—Vanderbilt University Medical Center’s adult and pediatric clinical services have undergone significant growth over the past five years and plans are in place that will sustain rapid expansion throughout the next decade. Sep. 20, 2018—Lily Hensiek, diagnosed with pre B cell acute lymphoblastic leukemia 10 years ago at age 7, has helped raise $1 million, through community fundraisers and individual donors, to create two funds to support pediatric cancer research and training at Monroe Carell Jr. Children’s Hospital at Vanderbilt. The funds are the Lily’s Garden Endowed Lecture in Childhood Cancer and the Lily’s Garden Research Fund. Sep. 20, 2018—The money is still rolling in, but it appears that the Greater Nashville Heart Walk will raise close to $2 million in its fight against heart disease and stroke as well as provide funding for public and professional education and community service programs.